The stereotype goes that no dog likes taking a bath; while that's not necessary true, it is true that trimming your dog's nails can mean a battle for some owners. Some dogs have a fear of the nail trimmers that stems from a bad experience. Cutting nails too short and slicing into the quick is extremely painful -- think of having your own nails cut so short that they bleed. In other cases, dogs can become sensitive to having their feet touched after an accident or tearing off a nail and exposing the quick while out playing or running. Getting your dog used to having his feet touched is one of the first obstacles in making this part of the essential grooming process much easier. Pick up his paws and hold his feet, and make a point of doing so without the threat of clippers or a nail trim. Make it a pleasant experience -- a few treats can go a long way in erasing any bad memories or associations. Once you can handle your dog's paws without an issue, introduce the nail clippers to the equation. Familiarize your dog with them before even touching his nails; step by step, touch your dog with the clippers, touch his nails, and once he views them as something not scary and not threatening, you'll be able to cut his nails without any drama. 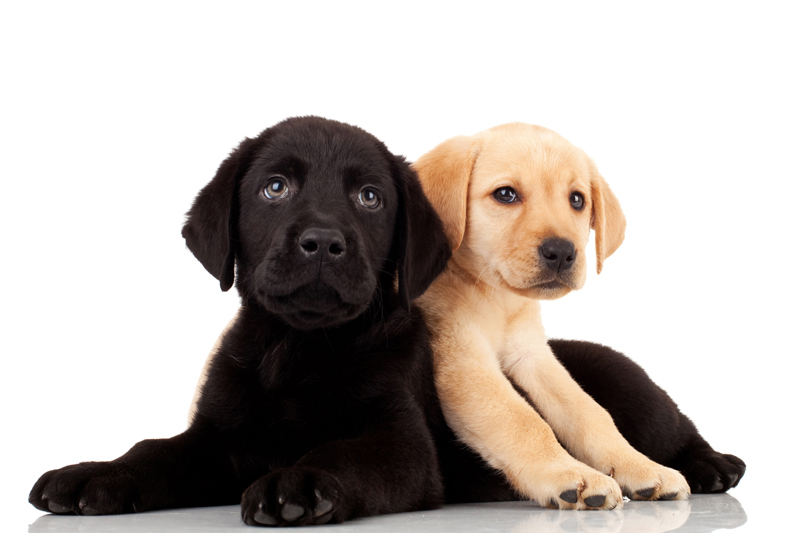 Different dogs progress at different rates, so there is no set period of time before progressing to the next step. Be sure your dog is always comfortable, as a bad experience can set the process back. Even a dog that is accustomed to having their nails trimmed can develop a fear of the clippers with one bad experience. It's generally easier to trim the nails of a dog with white claws, as it's easier to see the pink quick through the nail. For dogs with black nails it's not possible to see through; for these dogs, turn their paw upside down. Take a look at where the quick starts; only trim the very end of the nail. Replace or sharpen clippers often. A dull blade can pinch the nail, or crack it instead of cutting it cleanly. If you're not comfortable trimming your dog's nail by yourself, a veterinarian can do it for you or show you the easiest way to do so. Taking your dog for frequent walks along the street or sidewalk can also help keep nails trimmed, as well as smoothing off any rough edges left after cutting.